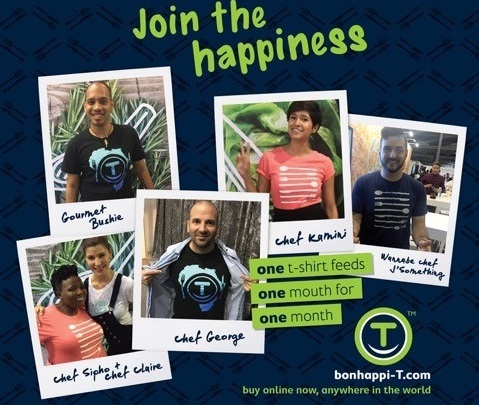 Online store bonhappi-T recently visited the popular Good Food and Wine Show held at the Durban Exhibition Centre from 28-30 October with the aim of selling as many bonhappi-T t-shirts as possible to raise funds for FoodForward SA. 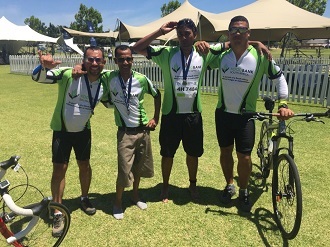 Not only did they manage to sell enough t-shirts to feed 262 people for an entire month, they also generated much needed awareness for our organisation and the work that we do to tackle the issue of hunger in our communities. From the general public, to a host of celebrity chefs, the funky, colourful and affordable t-shirts were an absolute hit! • The Private Chef and Top Chef South African judge, Neill Anthony. • Award winning musician, J’Something. • The ‘Giggling Gourmet’, Jenny Morris. • Chef, restauranteur and Masterchef judge, George Calombaris. • Masterchef SA winner, Kamini Pather. • Reuben Davis, sous chef at restaurant Sat Bains. • The Gourmet Bushie, Sherwyn Weaich. • The ‘Foodie in Love’s’, Claire Allen. • Siphokazi Mdlankomo of ‘Let’s Eat With Siphokazi’. • Lloyd Jusa, head sommelier at Saxon H.
• Food writer and TV host, Sarah Graham. If you too would like to purchase a bonhappi-T while at the same time give back, visit www.bonhappi-T.com. For every t-shirt sold, a portion of the proceeds will be donated to FoodForward SA, which will provide enough meals to feed a person for a month. 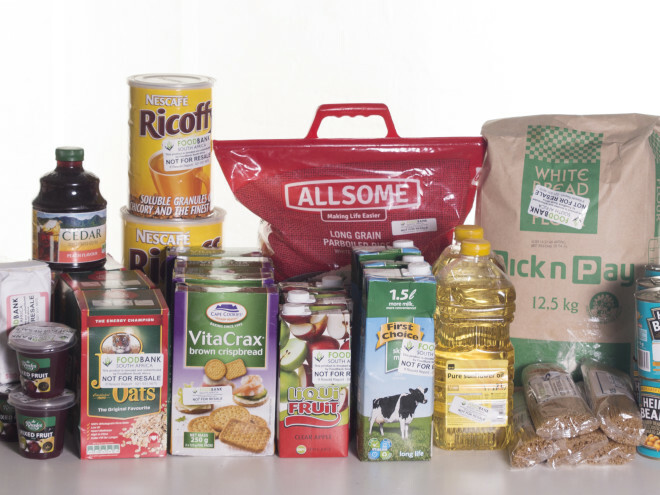 ← Help Huletts raise R20 000 for FoodForward SA and feed 50 people for a year!